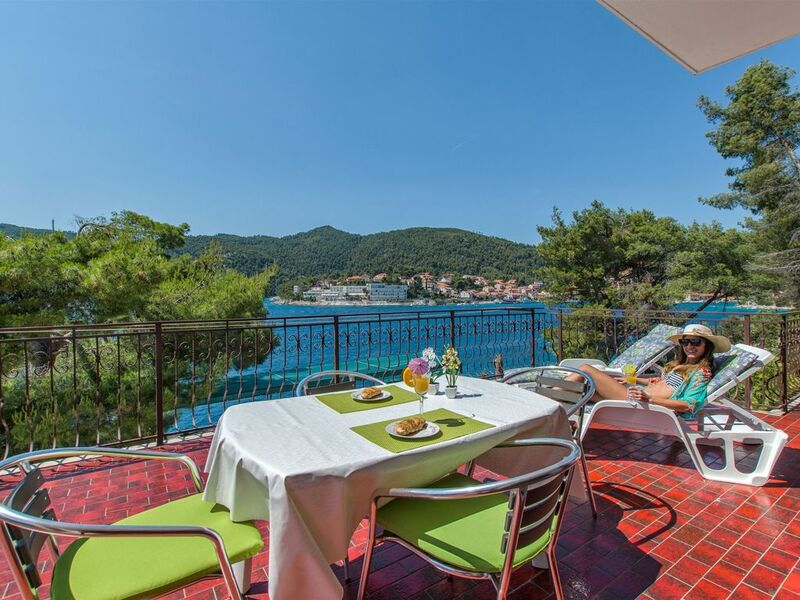 Accommodation Marija is located 30 m from the sea, 500 m from the center in the town Brna (otok Korčula). This accommodation offers a view of the Sea. Type of beach rocky beach and concrete slabs. Private accommodation Marija is ideal for 8 persons and has 3 rooms in the accommodation. Accommodation is equipped with: Heating, Radio, Television, Internet, Iron. Korcula ist eine sehr schöne Insel. Es gibt schöne Strände und viel grün. Es war ein sehr erholsamer Urlaub. die Nähe zum Wasser und die Wasserqualität waren wirklich super. Die Gastgeberin ist sehr freundlich.